Justin Gray & Synthesis is a contemporary world jazz ensemble that explores a captivating cross-cultural blend of Indian and western music. 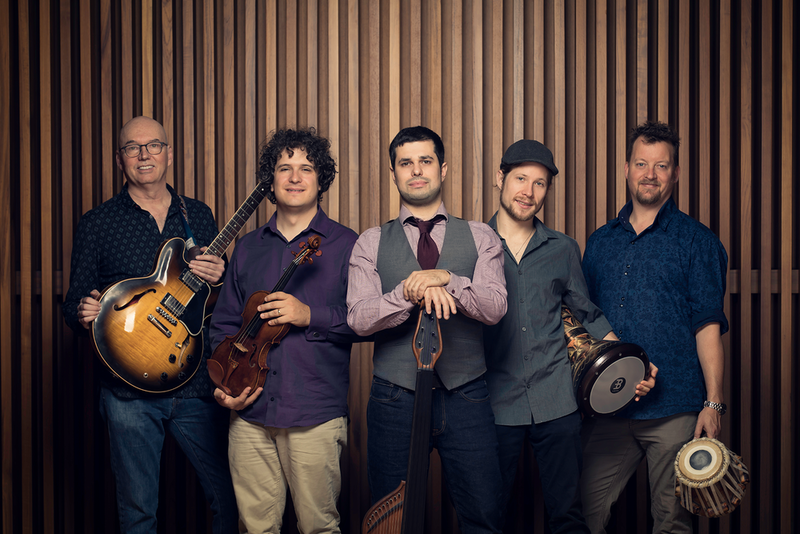 The ensemble features Justin Gray on Bass Veena & Electric Bass, Ted Quinlan on guitar, Drew Jurecka on Violin, Ed Hanley on tabla and Derek Gray on drums, percussion & Tibetan singing bowls. Bandleader Justin Gray is an award-winning bassist, composer & producer based out of Toronto, Canada. In 2010, Gray designed and co-created the bass veena, a multi-stringed instrument, which combines the fretless bass with elements inspired by various Indian stringed instruments. Justin is the first artist to perform on this instrument worldwide.